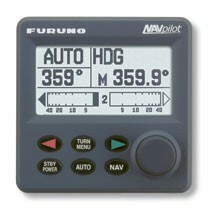 Autopilot Accessories include remote displays, rudder references, connector cable, connectors, and remote control units. An autopilot is a mechanical, electrical, or hydraulic system used to guide a vessel without assistance from a human being. Most people understand an autopilot to refer specifically to aircraft, but self-steering gear for ships, boats, space craft and missiles is sometimes also called by this term.